The Chiefs released safety Robert Golden today, according to Ian Rapoport of NFL Network (Twitter link). Golden’s agent told Rapoport that the release was at Golden’s request. He also said Golden “didn’t feel like he was getting the opportunity to contribute the way he wanted to.” Golden signed a one-year deal with the team back in April. Golden came into the league as an undrafted free agent with the Steelers back in 2012, and spent the first six years of his career in Pittsburgh. Across 92 games with the Steelers, he racked up 125 tackles, seven passes defended, and two interceptions. Golden appeared to break the news himself, tweeting earlier that he was “no longer a Kansas City Chief”. Golden’s agent added that “he’s hoping to catch on with another team soon” although it will be difficult for him to make a team this late in camp. Robert Golden has signed with the Chiefs, Mark Kaboly of The Athletic tweets. The defensive back has been on the market ever since being released by the Steelers in March. The Steelers dropped Golden in order to save $1.5MM against the salary cap. For the Chiefs, he’ll serve as a cheap reinforcement in the secondary after the departures of cornerbacks Terrance Mitchell and Phillip Gaines and the possible loss of free agent Kenneth Acker. The Chiefs’ new look cornerback group will be headlined by former Redskin Kendall Fuller and February free agent pickup David Amerson. Steven Nelson, Keith Reaser, and Will Redmond are also slated to return as reserves. Meanwhile, Golden will also see some action at safety (behind starters Eric Berry and Daniel Sorensen) and special teams. Golden, 27, spent his entire six-year career with the Steelers until he was cut last month. In 2017, Golden appeared in all 16 games, posting 11 tackles and one interception in that time. The Steelers have released safety Robert Golden, according to Ian Rapoport of NFL.com (Twitter link). Pittsburgh will save nearly $1.5MM against the salary cap by parting ways with Golden. He’s not the only veteran defensive back the Steelers have released in cost-cutting moves, as William Gay and Mike Mitchell are also on their way out. Golden, 27, has spent his entire six-year career with the Steelers. In 2017, Golden appeared in all 16 games, posting 11 tackles and one interception in that time. Jermaine Kearse, WR (Seahawks): Three years, $13.5MM. $6.3MM guaranteed. $5.5MM signing bonus. Up to $4.7MM in total incentives/escalators (Twitter links via Wilson and Tom Pelissero of USA Today). Tahir Whitehead, LB (Lions): Two years, $8MM. $4.75MM guaranteed. $3MM signing bonus. $500K in annual playing-time/Pro Bowl incentives. $200K in per-game active roster bonuses in 2017 (Twitter links). Sherrick McManis, CB (Bears): Two years, $2.85MM. $600K signing bonus. $150K roster bonus due 10th day of 2016 league year. $50K annual workout bonus (Twitter link). Senio Kelemete, OL (Saints): Two years, $2.7MM. $300K signing bonus. $50K roster bonus due third day of 2017 league year. Up to $600K in annual incentives (Twitter links). Kenrick Ellis, DT (Vikings): One year, $810K. $25K workout bonus. $25K bonus for one game on 53-man roster (Twitter link via Pelissero). Tamba Hali, OLB (Chiefs): Three years, $21MM. $11.5MM fully guaranteed. $4.75MM signing bonus. $500K annually in weight bonuses (five weigh-ins worth $100K each). $500K annually in per-game active roster bonuses (Twitter links via Wilson and Pelissero). Robert Golden, S (Steelers): Three years, $4.95MM. $1.25MM signing bonus (Twitter link). Eddie Pleasant, S (Texans): Two years, $2.15MM. $311K roster bonus in 2016. $36K roster bonus in 2017 (Twitter link). Shane Lechler, P (Texans): One year, $1.8MM. $500K signing bonus (Twitter link). Khiry Robinson, RB (Jets): One year, $1.175MM. $80K signing bonus. $20K roster bonus for first game. $350K in per-game roster bonuses (Twitter link). Nick Novak, K (Texans): One year, $965K. Minimum salary benefit. $80K roster bonus due March 14 (Twitter link). 10:09am: Golden’s deal is worth $5MM for three years, Ian Rapoport of NFL.com confirms (via Twitter). That’s a nice price for the Steelers, and suggests the team views the safety more as a special teams player than a potential starter on defense. 8:25am: The Steelers have reached an agreement on a new three-year contract with pending free agent safety Robert Golden, reports Jason La Canfora of CBSSports.com (via Twitter). The Steelers have since confirmed the deal (Twitter link via Burt Lauten). Golden, 25, has primarily been a depth piece and a special-teamer for the Steelers during his first four years in the NFL. However, he did earn three starts for the club last season, making a career-high 36 tackles to go along with nine passes defended and an interception. 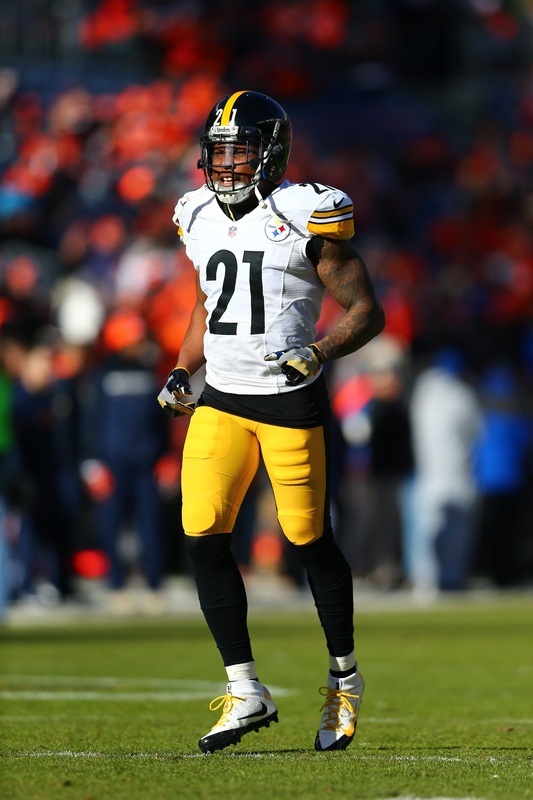 Golden had been one of several Steelers defensive backs eligible for free agency this offseason, along with fellow safety Will Allen and cornerbacks William Gay, Brandon Boykin, and Antwon Blake. With Mike Mitchell set to man one of the safety spots for Pittsburgh in 2016, perhaps Golden will get the opportunity to compete for playing time as the other safety. However, that will likely depend on what else the team does this offseason to address the position. According to La Canfora, Golden’s new deal is worth $5MM. However, based on that report, it’s not entirely clear whether Golden will be paid $5MM per year, or $5MM over the course of three years. The safety is coming off a season in which he earned $1.542MM, so $5MM over three years would represent a modest bump in his annual salary. Still, considering he saw his first extended action on defense in 2015 and played well, such a small increase in Golden’s pay would make for a very team-friendly deal. Addressing a report that suggested he left several members of the Bills‘ front office and coaching staff out of the loop when he decided to cut Fred Jackson, general manager Doug Whaley said on Thursday night that he consulted several others before making the move official, writes Tyler Dunne of The Buffalo News. According to Whaley, head coach Rex Ryan was with him when he informed Jackson of the decision. Having turned down a minimum-salary offer from the Texans last month, veteran running back Pierre Thomas is seeking a salary around $1.3MM or $1.4MM, tweets Aaron Wilson of the Houston Chronicle. It appears the Texans have moved on from Thomas, though perhaps Houston or another club could revisit the free agent back after Week 1. According to Jason Fitzgerald of Over the Cap and ESPN’s Field Yates (Twitter links), the Browns won’t be on the hook for Phil Taylor‘s full $5.477MM salary after all, after releasing the defensive tackle. When he asked for his release, Taylor accepted a three-week injury settlement, which works out to a $966,529 payment. As the Dolphins prepare to cut down their roster to 53 players, an injury to Jay Ajayi could complicate the team’s plans, according to Adam Beasley of the Miami Herald, who says the rookie running back cracked a rib on Thursday. Andrew Abramson of the Palm Beach Post writes that Ajayi is expected to remain on Miami’s active roster. Ed Bouchette of the Pittsburgh Post-Gazette wonders if the Steelers might part ways with one – or all – of the three players who received restricted free agent tenders from the club earlier this year — Pittsburgh could clear about $3.3MM in cap space by cutting fullback Will Johnson, cornerback Antwon Blake, and safety Robert Golden. The Steelers have re-signed safety Robert Golden, according to Aaron Wilson of the Baltimore Sun, who tweets that the restricted free agent signed his tender to remain with the team. Because Golden was tendered at the lowest level by Pittsburgh, he’ll be in line for a $1.542MM salary in 2015. Golden, 24, has played all but one regular season game for the Steelers since joining the club in 2012, but has yet to see significant action on defense. In those three seasons, Golden has played just 107 defensive snaps, contributing more regularly on special teams — he has 17 tackles in kick and punt coverage over the last two years. Despite Golden’s limited contributions – and the team’s limited cap flexibility – the Steelers saw enough out of the Arizona product that they were willing to tender him a one-year contract offer. With Troy Polamalu no longer in the mix in Pittsburgh’s secondary, it’s possible Golden will see his role expanded for the 2015 season. Assuming he earns the necessary service time this coming season, Golden will be eligible for unrestricted free agency in 2016.